React claims to be more testable and therefore scalable than vue.js and I think that is partly true. Vue just behind reacting, it is a good choice however it lacks a list of best scaling practices, resulting in a lot of spaghetti code. Angular would have done better if not Typescript that requires type definitions for every library. Angular goes 3rd and although after you learn angular you should know everything else associated with it (typescript, MVC), angular itself is a huge library that requires more time to learn. React uses the least abstractions, however, it will take more time to learn the best practices, as there are a lot of ways in which you can do the same thing or go wrong. Vue is probably the best choice if you want an easy to learn the framework. 2.Vue .js Vs Angular. Vue because it is growing so quickly, and angular because it is made by Google and its predecessor, angularJS used to be very successful back in the days. ReactJS vs Angular ,as depending on where you are one of these frameworks will slightly dominate. Angular has the free open source licence. It is supported by Google, making it probably the best choice for a company, as there are also fewer things that differ between angular practices. Angular comes with ionic 2 and native script, but neither of those mobile frameworks allows angular to reach the performance of react-native. Vue is the best choice for vue.js developers that enjoy native mobile development, all thanks to Alibaba weex. Angular is not simple at all. Its complexity often causes a lot of confusion and angular specific 3rd party libraries and syntax. react is fairly simple to understand but in fact, it takes a long time to set up a react project. Vue is certainly easy to set up and does not require any changes or syntax and that’s what people love about it and is designed to solve the problem. Angular is way bigger causing longer load times and performance issues on mobiles. React is bigger than vue.js, but still smaller than angular. That’s all I’ve got to say. Vue is the smallest and contains a lot as well. Actually, you might think it doesn’t matter, but say that to a cheap android smartphone and I don’t think you will be so sure about it. 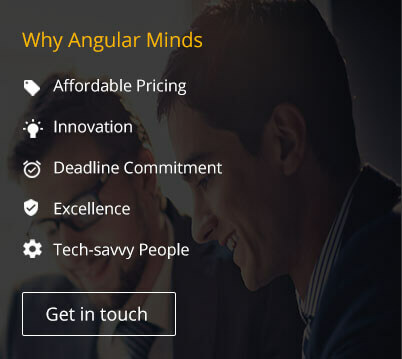 Angular team will try to encourage more people to use angular, and in my opinion, they will fail miserably. React team will introduce fiber, and make react way quicker than vue.js and angular. Vue will keep gaining popularity and more developers will switch to it. It is possible that it will influence a different big company to promote vue.js and encourage companies to use it. There is also another thing, native platform that should be out there in early 2017. React is the latest sensation in the construction of user interfaces and DOM components that greatly facilitates web development. Many people usually ask me which one is better? That is not a good question since they are made to cover different types of needs, but we can make comparisons based on Angular's uses similar to those of React. The conclusion seems obvious, but if you are thinking that Angular is the solution to all your problems, you could be wrong. Comparing Angularjs vs Vue.js, I think Vue.js is a more flexible and less opinionated solution ( than Angular ). That allows you to structure your app the way you want it to be, instead of being forced to do everything the Angular way. It’s only an interface layer so you can use it as a light feature on pages instead of a full-blown SPA. Vue is simpler, it features a lot of concepts from AngularJS and React. You can use it without any build system — just include it into HTML file.React is bigger and a little more complex (e.g. in terms of setting up). React and Vue.js has some similar features. 2) Provide reactive & compose-able view components. 3) Keep focus in the core library, with concerns like routing and global state management handled by companion libraries. Angular vs ReactJS vs Vue.JS which is best for Web Application Development as each framework comes with its own strengths and weaknesses hence, finding the best one truly depends on your project needs and your experience as a developer. Vue.js is very lightweight and easy to learn and lets you create application your way.It is not as much famous as React (maintained by Facebook) or Angular 2 & 4 (supported by Google) among developers. However, many developers are switching to Vue. Laravel community has also considered it as one of their preferred front-end frameworks.Angular is a much-evolved framework and has a lot of tools right out of the box. As a business owner, you need an application that serves your current needs, scales to address your future needs effectively and enables you to stay relevant and competitive in your industry.